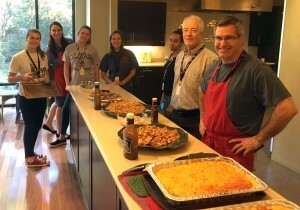 Poston Communications’ Atlanta team volunteers at the Ronald McDonald House on Oct. 3, 2017. 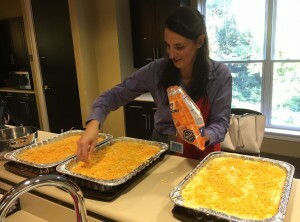 The core values of Poston Communications are built on service, and Atlanta team members demonstrated their commitment to supporting others by volunteering recently at the Ronald McDonald House near Children’s Healthcare of Atlanta at Egleston. 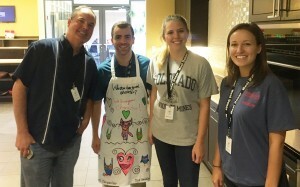 On Oct. 3, the Poston team prepared meals for visiting families whose children receive care nearby. On the menu: Barbecue chicken, mac and cheese, green beans, Texas toast for the main spread and chocolate chip cookies for dessert. 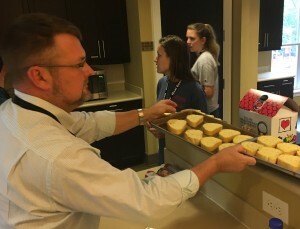 The portions were enough to feed more than 50 people, with leftovers going in the communal fridge for families’ convenience in the coming days. 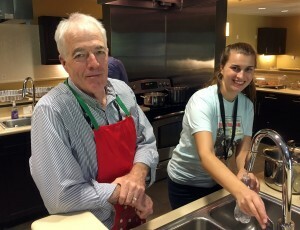 This is the second time that the Atlanta team has volunteered at the Ronald McDonald House. 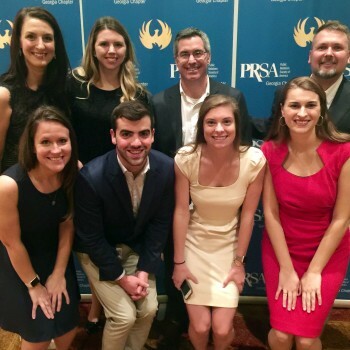 Poston’s Orlando team also has volunteered several times with the Legal Marketing Association’s Local Steering Committee. The Atlanta Ronald McDonald Houses, whose mission is to nurture the health and well-being of children and families, have served more than 48,000 families since 1979. Learn more about how you can get involved with Ronald McDonald House Charities in Atlanta at their website.